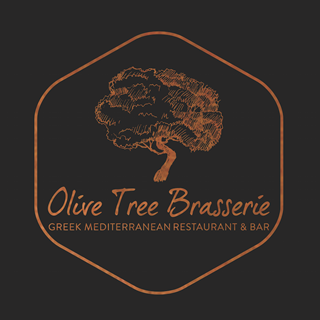 Serving traditional Greek cuisine and a selection of Mediterranean dishes with modern twists, The Olive Tree aim to provide diners with an exceptional experience. A wide selection of dining options are available - choose from the a la carte, early diner, lunch pronto or Sunday roast menus. Fresh seafood daily specials and gluten free options are also available. Coupled with their extensive wine and cocktail menu, there’s definitely something for everyone. 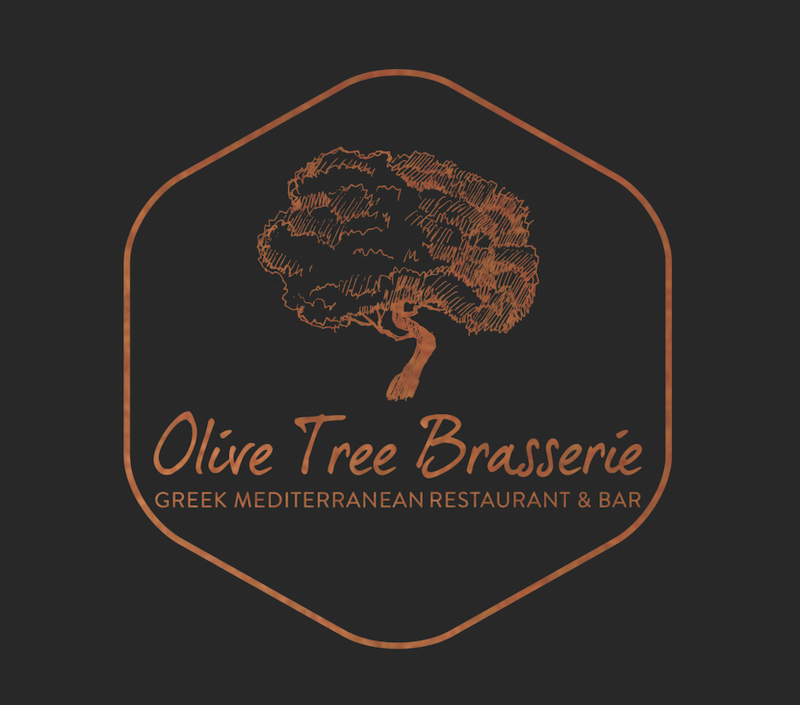 Came here for the first time with my partner, we were extremely happy with our experience which was made even better with the wonderful service, we were seen to by a few members of the front of house team and they were all very polite and attentive. Our food was delicious, risotto and ravioli couldn’t be faulted and the baklava was incredible! I’ve had baklava many times and this was by far the best, worth coming back just for that! Wonderful beer choices served in lovely chilled glasses, it’s these small touches that make a big difference. The only very small negative was that we were sat under the air conditioning and it was a bit chilly, I had to keep my jacket on, however I imagine if it wasn’t too busy and I asked to move they would have happily obliged. Overall we loved it and would absolutely recommend it to anyone! Thank you! We all had a great night but 2 of the party are vegetarians and the choice for prix fixe was very limited for vegetarians so had to pay more than the ones having steak! However the service was very friendly and we think pre-ordering was a great idea. Very enjoyable evening. Good food, fab cocktails, lively atmosphere, attentive service from Ioan, who was great. Thank you. The service was first class and the food (I had the paella) was absolutely delicious. We'll definitely be going again. They were not having a great night, a number of dishes had run out and service was hit and miss. Cons - a lot of menu unavailable at 6.30pm on a Saturday night. So disappointing. We had come especially with friends visiting chester and felt really embarrassed that the place had gone down so much since our last visit. We had to ask 4 times for table water only to be god the reason it took so long was there was not enough glasses. Come on management this is just unprofessional and we won’t be returning any time soon. Thank you for taking the time to leave us a review as we appreciate all feedback. Firstly I would like to apologise your visit was not to our usual standard. We were unaware you did not enjoy your experience with us and had you brought it to our attention we would of tried our best to improve your visit. I have emailed you personally about this as I wish to discuss this further. I booked by telephone with some fairly specific requirements and these were dealt with faultlessly. When we arrived we were given a lovely welcome and were seated immediately. Our orders were taken and our drinks arrived straight away. The starters arrived and were delicious - albeit that the lemon mayonnaise with the cod fritters was almost devoid of lemon flavour! The main course was a bit disappointing - we had the belly pork and apple kebabs. The plates were overflowing, which I find a bit off putting, the belly pork was lovely but the apple was warm and raw. This would be much better if it were cooked and soft therefore making a lovely apple sauce for the pork. Dessert was good. All in all we had a lovely meal with good service and just minor points let it down. Thank you for taking the time to leave us a review as we appreciate all feedback. It's is dissapointing you experience with us was hindered by your main kebab not being to our usual standard. I will personally investigate the matter. Thank you however for the lovely comments about the team, I will pass on your praise. Please could you message [email protected] as I would like to discuss your visit with us. Service was great;table exactly what we skied for and food as good as always. Thanks for taking the time to write such a lovely review. It's really great to see such positive feedback, and I will make sure this is passed along to the team. Look forward to seeing you both again soon. Gorgeous food, great environment and very friendly staff. Thanks for your kind words, it's great to hear that you enjoyed your experience with us. I will make sure that I pass on your feedback to the team, and we look forward to seeing you again soon. The staff couldn’t be more helpful. The food was delicious, lots of choices and a good gluten free menu. Good value with the lunch time offers. Thanks for taking the time to write such a great review. It's great to hear that you enjoyed your experience, and I will be sure to pass on your feedback to the team. Thanks for taking the time to write a review about your experience with us. Excellent service and delicious food. Good value for money which for a week night is essential for coaxing people out! Thank you for your fantastic review! It is always lovely to see great feedback from guests who have enjoyed their experience with us. I will pass on your praise to the rest of the team. If you have a few moments we would really appreciate it if you could also copy your review onto TripAdvisor. The food was excellent, and the atmosphere friendly. Thank you. Thank you for taking the time to leave us a great review as it is always lovely to see feedback from guests who have enjoyed their visit with us. I will pass on your praise to the rest of the team. If you have a spare moment, we would really appreciate it if you could also copy your review onto TripAdvisor for us. Staff exceedingly friendly and helpful, they made us feel very welcome. Thank you for your lovely comments! It is always great to see comments from guests who have enjoyed their experience with us. If you have a few spare moments, we would really appreciate it if you could also copy your review onto our TripAdvisor Page. Food good, service incredibly slow. Good mother’s day set meal. We waited over 40 minutes for our drink and had to remind the waiter poor service let down meal and know it’s not been like this before when I’ve visited in much bigger group. Thank you for your review as we appreciate all feedback. I would like to apologise the service you recieved was not to our usual standard. This has been addressed with the staff at the time of your visit. Please could you email [email protected] as I would like to discuss this further. Thank you for the fantatsic review as its always lovely to see positive comments from guests who enjoyed their experience with us. If you have a spare moment we would really appriecate it if you also shared your review on TripAdvisor. Thank you for your great review! It is always lovely to see positive comments from guests who have enjoyed their experience with us. If you have a few spare moments we would really appreciate it if you could share your review also on our TripAdvisor page. I was really looking forward to coming here for mothers day as I have been once before and the food was lovely. This time however, the starters were cold (after taking 45 minutes to come) the mains were awful and had things missing from the dishes that were listed on the menu, and the deserts again had the wrong items compared to what was listed on the menu and also had baking paper stuck inside the brownies. Bad experience. Staff were nice but didn't really make up for the awful meal - we all went and ate wok & go afterwards, nightmare! Thank you for taking the time to leave us a review as we appreciate all feedback. Management was aware at the time of the issues that occured at your table and I want to state again that we are truly sorry. Please could you contact [email protected] as I would like to discuss this further. Food was very nice but the service was very slow. People that arrived half an hour after us were leaving before us. Waited at least 45 minutes for dessert. Thank you for leaving us a review as appreicate all feedback. Firstly, I would like to apologise your experience with us was not to our usual standard. I will be personally investigating why desserts took so long. The staff were tentative, however we were placed in s corner upstairs with no lighting resulting to use a light on our mobile phone so we could see our food?! The waitress was very apologetic, however I expected some for of reimbursement / acknowledgment from the manager. My daughter asked for J20 which you don’t stock, but kindly offered to mix up a juice drink for her, I was appalled to see I was then charged £4.00 for a small juice drink! An alcoholic drink is cheaper! Our main meal was lovely - but not being able to see it ruined our experience with you. Thank you for taking the time to leave us a review as we appreciate all feedback. Firstly, I would like to apologise the chosen table had a faulty light. We have since recitifed this and again apologise this seriously impacted your visit. Thank you for your lovely review as we always love seeing positive comments from guests who have enjoyed their experience with us. I will pass on your praise to Rosie as she will be thrilled your experience was improved because of her. Thank you for taking the time to leave us a grea review. It is great your expeirence was excellent and even better that you will be returning again. Delicious lunch menu. Love the vegan options. We’ll be back and would highly recommend. Thank you for your glowing review! It is always brilliant to see positive feedback from guests who have enjoyed their experience with us.